John LiVecchi MD upated Bio. John T. LiVecchi, MD, FACS, FSEE is a board-certified ophthalmologist and fellowship trained oculoplastic surgeon, specializing in Eyelid and Facial Cosmetic Surgery. He is the Director of Oculoplastics at the Lange Eye Institute in the Villages, Ocala and eight other Lange Eye Care offices in Florida. There has been an increased understanding of the importance of the relationship of healthy eyelids to both appearance and proper vision. The more common conditions affecting the areas around the eye are upper and lower eyelid surgery which includes blephroplasty, ectropions, entopions, ptosis, browlifts, cysts and tumors, tear duct problems and reconstructive surgery. In addition, non surgical liquid facelifts using lasers, Botox®, Restylane®, Juvaderm®, Radiesse® and other fillers are other methods to improve the cosmetic appearance of the face and areas around the eye, procedures that can also lead to improved vision. Michael Lange OD, CNS talks about the importance of eye exams in diabetics. Lange Eye Care is tops in diabetic eye care. John T. LiVecchi, M.D., F.A.C.S., F.S.E.E. John LiVecchi MD, Has joined the team at Lange Eye Care and Associates. He will be Director of Oculoplastics at The Lange Eye Institute in The Villages Florida. Dr. LiVecchi is one of the most experienced oculoplastic surgeons in the country and has done over 25,000 lid procedures. If you live in or near The Villages and need a great Ophthalmologist that is fellowship trained in Oculoplastics then call 352 753 4014 for an appointment at The Lange Eye Institute in The Villages. 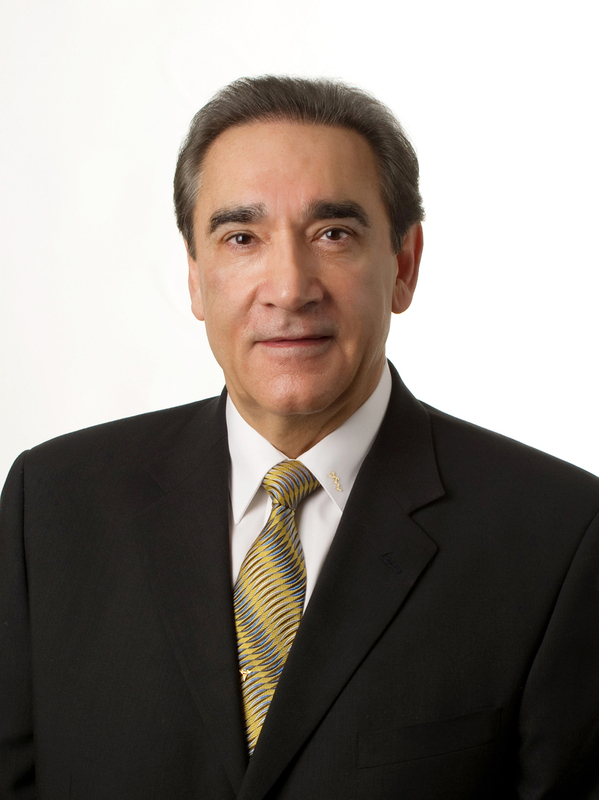 John LiVecchi MD , specializes in cosmetic and reconstructive surgery of the face. Some of the procedures he will be doing at The Lange Eye Institute are : upper and lower eye lid surgeries, forehead lifting, brow lift, face lift, entropion and ectropion repair, botox and collagen type injections, chemical peels, laser resurfacing of the face, punctual stenosis repair, removal and biopsy of skin cancers, or un wanted warts, moles or facial lesions, migraine headache treatment, blephorospasm treatment, hemifacial spasm treatment and much much more. 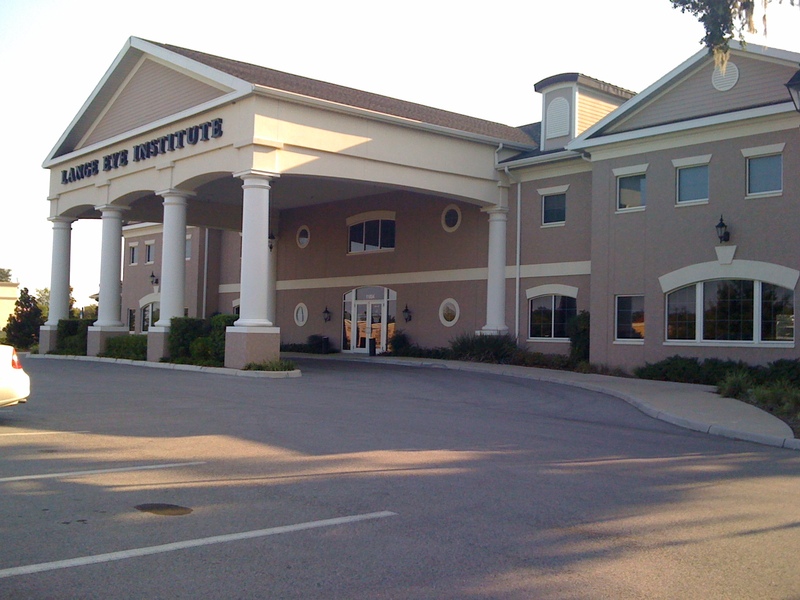 Michael Lange OD expands The Lange Eye Institute in The Villages to handle all Oculoplastic procedures. Macular degeneration awareness month at Lange Eye Care. via Macular degeneration awareness month at Lange Eye Care. Macular Degeneration is the leading cause of vision impairment in people in The Villages Florida . Macular Degeneration is the leading cause of legal blindness in the Villages Florida. Currently there are close to two million people living in our country that are vision impaired from macular degeneration. The Villages is a large and rapidly growing retirement community and therefore a large amount of people with macular degeneration live in The Villages. Many people move to the Villages to reside becuase they have become vision impaired and have lost their drivers license. When they move to the villages then they can drive a golf cart to any destination without a drivers license. This enables many to remain independent and many can regain their independence simply by moving to the Villages. With our population living longer and longer it is estimated that over 3 million people by 2020 will have Age Related Macular Degeneration (ARMD). By then each of us will know someone that has lost their vision from macular degeneration. Macular degeneration is a medical condition that causes degeneration of the central part of the retina called the macula. 1. 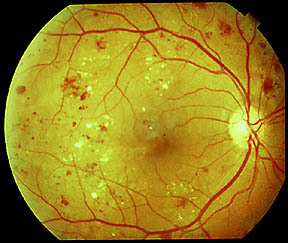 Wet ARMD or neovascular ARMD, which means abnormal growth of new blood vessels which grow into the retina and leak causing edema and atrophy of the central retina. 2. Dry ARMD or non-neovascular ARMD. The dry form of macular degeneration is the most common type with around 85%-90% of sufferers having the dry form. The wet form of macular degeneration is the most rapidly destructive form. The dry form of ARMD can slowly steal a patients central vision until they become legally blind. An estimate of about 20% of dry ARMD will turn into wet ARMD. Some people may have an increased risk of developing macular degeneration because of their genetic makeup. However, most cases of macular degeneration are probably related to a combination of genetics, poor nutrition, sedimentary lifestyle and environmental factors. Significant research in the area of macular degeneration looks very promising. The evolving therapies the Board Certified Optometrists and Ophthalmologists have developed bring new hope for anyone diagnosed with ARMD. These new therapies may halt, improve or even cure forms of macular degeneration. Ongoing research in macular degeneration is constantly revealing new ways to help the macular degenerative patient and maintains a very high level of hope for the future care of ARMD. Ultimately we look forward to a future where macular degeneration no longer poses a threat to vision. Can anything be done to decrease the risk of going blind from Macular Degeneration in The Villages? Nutritional intervention and lifestyle modifications may be beneficial at helping to stabilize macular degeneration. I have personally seen thousands of patients with macular degeneration in clinical practice for over 20 years. I have seen the positive benefits that patients can realistically obtain through nutritional intervention and lifestyle modifications. Many patients in the Villages with macular degeneration are benefiting dramatically from visiting the doctors at The Lange Eye Institute that are in tune with the latest in nutrition. Doctors at the Lange Eye Institute in The Villages are using dietary modifications, introduction of nutraceuticals and lifestyle changes to aid the patient with macular degeneration. These doctors have seen some incredible improvements in vision as well as overall health in their patients. Optometrists and ophthalmologists at The Lange Eye Institute utilize intracellular and plasma blood testing, genetic testing and advanced retinal imaging to help determine if a patient may have modifiable risk factors for macular degeneration. Some of these modifiable risk factors include elevated c-reactive protein, elevated cholesterol, elevated triglycerides, elevated homocysteine, specific genes, lipofuscin pigment accumulation and nutritional deficiencies. The following is a list of 17 steps that can be utilized to decrease the risk of having progressive visual loss from macular degeneration. This list was compiled based on solid scientific evidence reported in the literature and from positive results we have seen clinically in several very large macular degeneration practices. This does not replace a comprehensive dilated eye examination by a board certified optometrist or ophthalmologist. 1. Follow a low fat diet. Decrease saturated fats and trans fatty acids. Eat more turkey, chicken , cold water fish . Eat less corn fed beef, whole milk and cheese. Eat the breast meat of chicken and turkey from free roaming organically raised sources (if possible), and prepare without deep frying. Broiling, grilling, boiling or baking is healthier. Eat more fish (omega-3) but be careful when eating fish because many large fish have toxic levels of mercury, lead and PCBs (PCBs are persistent organic pollutants, banned since 1977, that entered the environment through both original use and later disposal). Eat cold water fish (sardines, tuna, mackerel, lake trout, Atlantic halibut, herring and wild—not farmed—salmon). Try to avoid farm raised fish and instead eat wild fish especially wild Alaskan salmon. Wild salmon are high in a super carotenoid called astaxanthin that is proving to be a key nutrient in the nutritional approach for macular degeneration. A lean organically raised GRASS FED steak in moderation is a good source of protein, Vitamin B complex, zinc, iron, folate, magnesium, selenium and omega-3 essential fatty acids. A good source of grass fed organic beef is www.grassisgood.com. Omega-6 fats predominate in commercially-raised (corn-fed) meat, poultry, dairy and eggs; and also in nuts, seeds, margarine, and vegetable oils (such as corn, peanut, canola, safflower, soybean, sunflower, and grape seed oils). Omega-6 increases inflammation in the body! Olive oil is an omega-9 and is beneficial; it should be the primary bottled oil in the kitchen for use in cooking and salad dressings. Coconut oil is also becoming one of Dr. Michael Langes first choices for cooking oil do to the high amount of medium chain triglycerides and lauric acid that could prove to be retinal healthy in the future. The typical American diet provides 10-20 times more omega-6 than omega-3, but a healthier ratio is 3:1 or 4:1! Cut back on your omega-6 (choosing healthy omega-6 foods like nuts, seeds, and avocado) and increase omega-3. 2. Consume more dark green leafy vegetables like spinach, kale, collards and swiss chard (preferably organically grown). Carefully boil, steam or simmer these in extra virgin olive oil or coconut oil. Gentle cooking helps to break down the cell wall releasing the bio-availability of the greens. Juicing is also a good way of getting these nutrients. Lutein is abundant in dark green leafy vegetables and has been shown to potentially help slow down the devastating properties of macular degeneration. Lutein and its related compound zeaxanthin are highly concentrated in the macula, providing a yellow color known as the macular pigment (MP).The macular pigment acts like a built in sun screen and protects the macula from the damaging photo-oxidative effects of blue light. Eating more foods that contain lutein and/or taking a supplement with 10-30 mg of lutein daily will help replenish the macula pigment density that you are more prone to loose as you age with macular degeneration. If you are taking a blood thinner like Coumadin, consult with your physician prior to eating more dark green leafy vegetables. 3. Eat more orange bell peppers (preferably organically grown), gently cooked or raw. Orange bell peppers are very high in zeaxanthin. Scientists believe this nutrient when combined with lutein helps filter out dangerous HEV light (blue light) and may help maintain macular health. Sauté spinach and orange bell peppers together in extra virgin olive oil or coconut oil for good macular health. Goji berries are also one of nature’s most powerful antioxidants that has a very high concentration of zeaxanthin. Goji berry is one of the richest edible plant sources known for zeaxanthin content. Up to 77% of total carotenoids present in goji berry exist as zeaxanthin. Both goji berry and zeaxanthin also may prove to be helpful in the irregular blood vessel growth and leakage that occurs in the wet form of macular degeneration due to their potential anti-VEGF properties. 4. Consume more darkly pigmented berries (preferably organically grown). Studies indicate that eating more dark berries like blueberries, black berries and raspberries may help preserve macular health. Some of the “super fruits” like gogi berry, acai berry and mangosteen are powerful antioxidants that may prove to be beneficial for macular disease. These are not easily found in your local grocery unless they are in a juice or powdered form. If you are a diabetic consult with your physician prior to eating more fruits. Darkly pigmented berries may also exhibit some anti-VEGF attributes. 5. Get more omega 3 fatty acids by taking micro distilled triglyceride form fish oil. Stay away from the ethyl ester form of fish oil due to alcohol being attached to the molecule and poorer absorption rate when compared to triglyceride fish oil. Due to the large amount of pollutants in fish, molecularly distilled triglyceride fish oil may be a better option than eating the fish. Canned sardines are a good source of omega threes, protein, Co-Q10 and calcium, and are fairly contaminant free. Eat more cold-water fish (sardines, tuna, mackerel, lake trout, Atlantic halibut, herring and wild—not farmed—salmon). Flax seed oil is not a good source of omega-3 essential fatty acids! I recommend Fortifeye Super Omega since it is the more natural concentrated triglyceride form of omega-3 and goes through a triple molecular distillation process to insure it is contaminant free. Fortifeye Super Omega in a omega index blood study has clinically proven at a two per day dosing to raise the omega index over 9% in all patients taking two per day that weighed less tha 240lbs. This omega index over 9% is in the heart healthy zone. Rememeber if it is heart helathy it is eye healthy. This gel cap is also chewable with a great taste for those patients that have difficulty swallowing pills. Fortifeye Vitamins phone number is 1-866-503-9746 or go to www.fortifeye.com. 6. Eat less salt. Research may indicate that decreasing salt intake may decrease deposition of waste products in the macula called drusen. Reduction in salt intake may help decrease blood pressure and fluid retention. If you do consume salt make sure it is either celtic sea salt or pink sea salt. This is a much more natural source of salt. 7. Wear blue blocking sunglasses especially if you have had cataract surgery. There is science that indicates blocking the high energy visible spectrum (400nm-500nm, the “blue light”), may help prevent damage to the macula. Yellow, amber and orange colored lenses are good at blocking the blue light. Wear them any time you are outdoors during daylight. Wear polarized blue blockers while in the sun. Non-polarized lenses are better while indoors, during cloudy and overcast days and for certain sports like motorcycling, golf, road biking and mountain biking. Blu Tech is a new lens that filters out over 99% of the blue light without altering the blue color. Blu tech lenses make an indoor and outdoor lens. 8. NO SMOKING! If you do smoke try to quit. Smoking lowers your serum antioxidant levels in your blood and thus causes a nutritional deficiency at the cellular level. Second hand smoke is just as bad. Smokers increase their risk dramatically of developing the more advanced stages of macular degeneration. Smoking increases C-reactive protein (inflammatory marker in blood that is a risk factor for macular degeneration). If you smoke be sure you do NOT take high levels of the supplement called beta-carotene. High dosages of beta-carotene my increase ones risk of lung cancer. New science also indicates beta-carotene may interfere with the absorption of lutein (a beneficial carotenoid for macular health). Beta-carotene should not be in a vitamin formula especially if you have macular degeneration. Vegans may want to supplement with beta-carotene since they arent getting any vitamin A from animal sources, however most Americans that do eat some animal protein will not be deficient in Vitamin A and thus dont need any beta-carotene. Beta-carotene has shown some form of competitive inhibition against lutein that may begin in the stomach. 9. Do cardiovascular exercises for 20-30 minutes 5 times a week (discuss this with your physician first). Research indicates that patients who did cardiovascular exercise (treadmill, stationary bike, elliptical, walking, jogging, swimming etc.) were less likely to develop macular degeneration. These forms of exercise may be beneficial for glaucoma patients as well. Cardio exercise will improve circulation to the retina. 10. If you are overweight, LOSE WEIGHT! Overweight people are twice as likely to develop macular degeneration. Losing weight will also reduce C-reactive protein and help to normalize cholesterol and triglycerides. Controlling C-reactive, cholesterol and triglycerides may benefit macular degeneration. Overweight patients are also more likely to develop glaucoma and cataracts at an earlier age. Reducing your caloric intake and increasing your cardiovascular exercise will aid in weight reduction. Patients who are over weight with pre-existing health conditions may want to seek help from a physician supervised weight loss program. Carotenoids lutein, zeaxanthin and astaxanthin tend to be attracted to adipose fatty tissue and this allows less to actually make it to the retina. 11. Control systemic health problems such as hypertension, diabetes, elevated C-reactive protein and elevated homocysteine. Elevated homocysteine has been linked to macular degeneration as well as optic neuropathies, certain types of glaucoma, retinal occlusive disease and diabetic retinopathy. Patients who are overweight can have a dramatic improvement in these systemic health problems once they start a weight management program and stick to it. 12. Drink red wine and green tea! New research may indicate that drinking red wine in moderation, sipping green tea, eating more soy products and cooking with curry may have some positive impact on macular degeneration, cataracts and inflammatory diseases in the eye. Consume more Pinot Noir from the New York or Oregon region, because this wine has some of the highest resveratrol content. Resveratrol is a powerful antioxidant proving to have many health benefits. Walnuts are also a good source of resveratrol. The latest research shows that soy, resveratrol, green tea and curcumin may all have the ability to inhibit new fragile blood vessel growth (anti VEG-F). This may prove to be beneficial at decreasing the chance of the dry form of macular degeneration from turning into the wet form. Some other specific nutrients that may also exhibit effects on VEGF are Vitamin D, rutin, zeaxanthin, tocotrienols, super berries and even B vitamins. 13. Have a vitamin D blood test; 25 (OH) D done routinely, making sure you are not deficient in Vitamin D. Recent research shows patients with low levels of serum Vitamin D may be more likely to develop macular degeneration. Vitamin D is a potent steroid hormone and deficiencies are linked to cancer, cardiovascular disease, stroke, hypertension, diabetes, osteoathritis, osteoporosis, depression, multiple sclerosis, muscle wasting, schizophrenia and even the flu. The sun is the best source of Vitamin D. Just 15-20 minutes of sun exposure during the peak hours in shorts and a tank top while wearing a good pair of blue blocking sunglasses and a wide brimmed hat may be beneficial. Consult with your physician before too much sun exposure especially if there is a history of skin cancers or melanoma. 14. Dark Chocolate is high in polyphenols and antioxidants that may prove to be beneficial for macular degeneration. The darker the chocolate the better. Dark chocolate is proving to be good for for many health conditions including diabetes, hypertension, and elevated cholesterol and may reduce the risk of blood clots, strokes and heart attacks. Polyphenols from dark chocolate may also exhibit some anti-VEGF properties and may prove to be beneficial for macular degeneration. Try to eat the dark chocolate with the highest percent of cocoa and the least amount of sugar. 15. Do not take supplemental beta-carotene and don’t over do the zinc! Beta carotene free supplements have been proven to be more effective at helping macular degeneration patients. The AREDS 2 study proved that the patients that responded the best to nutritional therapy had no beta-carotene in their supplements. Many more emerging studies are proving that supplemental beta-carotene blocks the absorption of lutein. Beta-carotene also increases the risk of lung cancer among smokers. There is no beta-carotene in the eye, however, there is a high percent of lutein concentrated in the macula, so macular degeneration patients do not want to block this valuable carotenoid. Do not take Vitamin A palmitate as studies now indicate that it may increase the risk of macular degeneration and it may also increase the risk of osteoparosis, liver problems and neuro degenerative diseases. If you are deficient in Vitamin A then a physician needs to determine why and treat accordingly. Zinc has been a controversial supplement for macular degeneration over the last decade. AREDS 2 study proved that 80mgs of zinc daily is not necessary for macular degeneration. Most nutritional experts agree that 40mg of zinc per day is safe and effective for macular degeneration. Some patients my be sensitive to zinc and may require much less zinc . Discuss with your optometrist or ophthalmologist what levels of zinc will be most beneficial for you. Fortifeye Vitamins has 3 different supplements with different levels of zinc for patients based on their weight, disease entity (systemic and ocular) and sensitivities. 16. Get a good night’s sleep. More and more research is indicating that sleep deprivation is a major risk factor for many health problems. Sleep deprivation can suppress the immune system, increase inflammation in the body, lead to weight gain, high blood pressure and possibly Alzheimer’s disease. Sleep deprivation may increase your risk of optic nerve problems as well as macular degeneration. The National Sleep Foundation recommends 7-9 hours of sleep a night for adults. 17. Take a good nutritional supplement based on the latest scientific data, preferably one that does not have any artificial dyes and synthetic nutrients. Be careful of supplements that have only “window dressing” amounts of specific nutrients. Many vitamin companies will add tiny amounts of popular nutrients just to be able to put it on the label. These small amounts may have no nutritional value. Patients must also be extremely careful not to take too many supplements as well. Vitamins can build up toxic levels, especially the fat soluble forms. The leading company that takes all of the current science into consideration in the development of their nutraceuticals is Fortifeye® Vitamins. The Fortifeye® products are all natural with no dyes and are beta-carotene free. They provide therapeutic levels of nutrients and no window dressing. The Fortifeye Vitamins mission is stated as promoting proper vision and whole body health with the right ingredients at the right levels. I recommend to all of my patients the multivitamin Fortifeye™ Complete Plus, which is a combination of vitamins, minerals, phytonutrients, enzymes, whole foods and omega-3 essential fatty acids designed to lay a strong foundation for eye and total body health. If the patient has macular degeneration or is a smoker, I recommend Fortifeye™ Complete Macular Defense which is a nutritional system to help prevent any further vision loss from macular degeneration and gives the additional antioxidants necessary for smokers. I have seen many patients in clinical practice improve, some quite dramatically, while taking these supplements. Many doctors throughout the country are now recommending Fortifeye™ Vitamins to their patients with macular degeneration. Fortifeye stays abreast of the most current science in regards to nutritional supplementation for the eye and body, and because of this, their vitamins for macular degeneration and total body health are constantly evolving. Visit www.fortifeye.com for the latest information, or call toll free 1-866-503-9746. 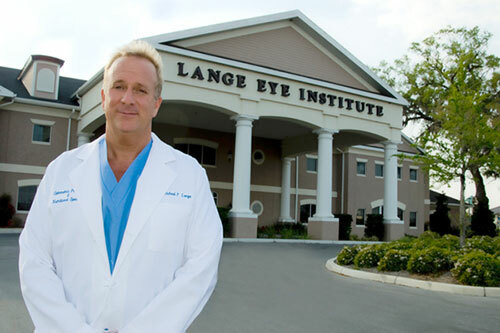 For an appointment at The Lange Eye Institute call 352 753 4014. As of May 2013 Fortifeye Vitamins is one of the only companies in the industry offering a beta-carotene free eye and whole body supplement!! Fortifeye Vitamins is in the development stages of another supplement for macular degeneration patients that should be available by mid summer 2013. This will give the doctor and patient four different options for their patients with macular degeneration.